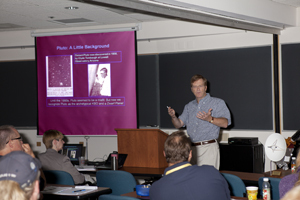 The New Horizons Educator Fellows took part in a training workshop from June 21-23, 2011, at the Johns Hopkins Applied Physics Lab in Maryland, getting behind-the-scenes scoop and inside information from the scientists and engineers carrying out the mission. Their charge is to bring all of that information to you and your community! They came to this workshop from as far away as Hawaii and Alaska. As an integral part of NASA's New Horizons mission to Pluto and the Kuiper Belt, the Fellows bring the excitement of this historic mission to classrooms across the nation. The New Horizons Fellows will be conducting regional teacher workshops later this year, so check the mission website for schedules and to learn how you can participate in one of these great workshops. 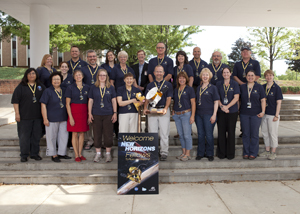 Join the Fellows as we all take part in the golden era of solar system exploration. 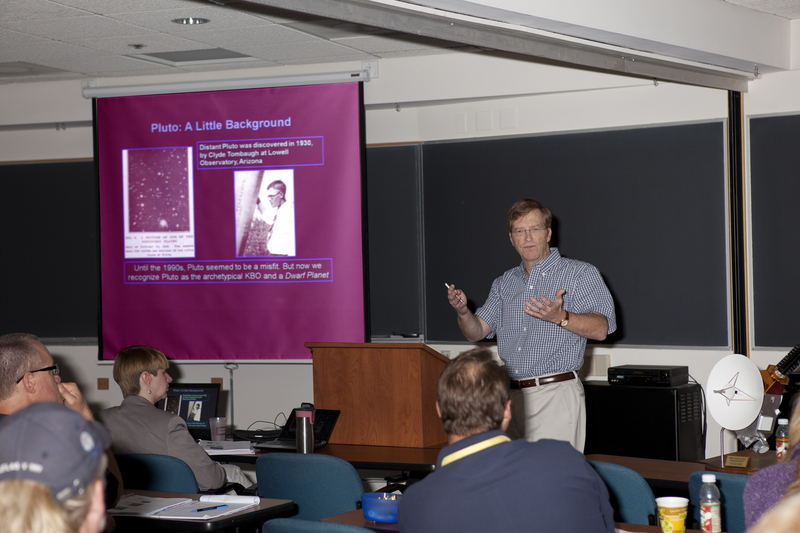 New Horizons Project Scientist Hal Weaver, pictured here giving a mission science overview, was one of several New Horizons team members who worked with the educators during the workshop at APL. The New Horizons Educator Fellows gather on the steps of the Kossiakoff Center at the Johns Hopkins University Applied Physics Laboratory.